Burundi is a small country (27,830 km²) and one of the five poorest countries in the world. It is the second most densely populated country in Africa with around 11.2 million people and 470 inhabitants/km². Almost 65% of its population live below the poverty line, contributing to rank Burundi 180th out of 186 countries on the Human Development Index. Poverty affects tremendously all ethnicities living in rural areas and it’s disproportionate with women. Food insecurity is shocking, as Burundi ranks last on the 2013 Global Hunger Index. Almost one in two families (around 4.6 million people) can be considered as food insecure, and more than half of the children have stunted growth (WFP, 2014 and 2016). The situation is worsened by a limited access to water and sanitation and less than 5% of the population have electricity according to World Bank’ statistics. In 2009 the DU program reached the country to support all those people who did not have any mean to have access to ICTs, in an area of the world where the infrastructures were dramatically lacking. After 9 years of continuous engagement and commitment to contribute solving the educational issues of the country, 12 centers were set up in different schools (mainly public organizations) and contributed to giving new chances of better education and as a result of better employability to all the beneficiaries that were taught. 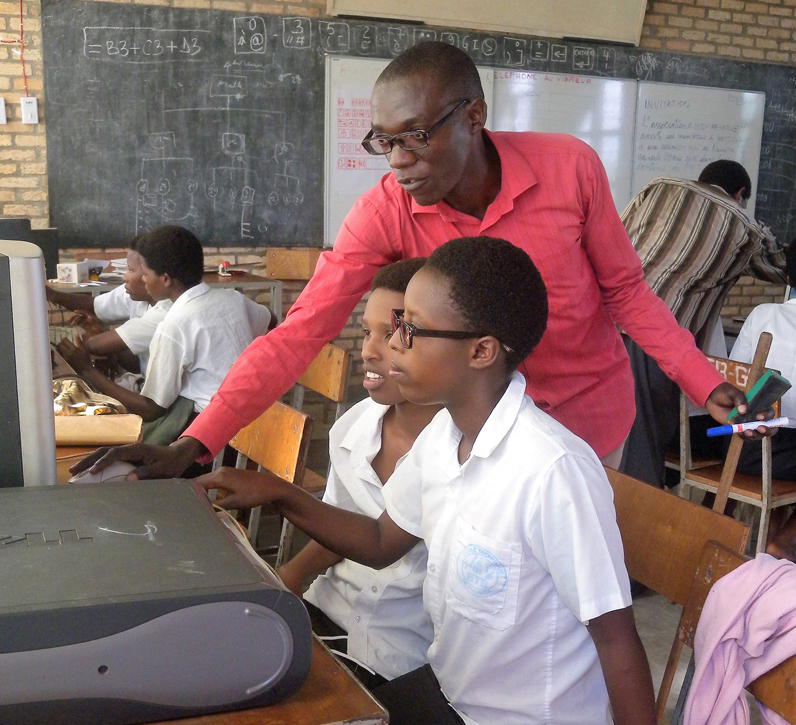 Moreover, through the infrastructures the ST Foundation created new services that were brought to the country and the internet was made available to the students and to the partnering schools. 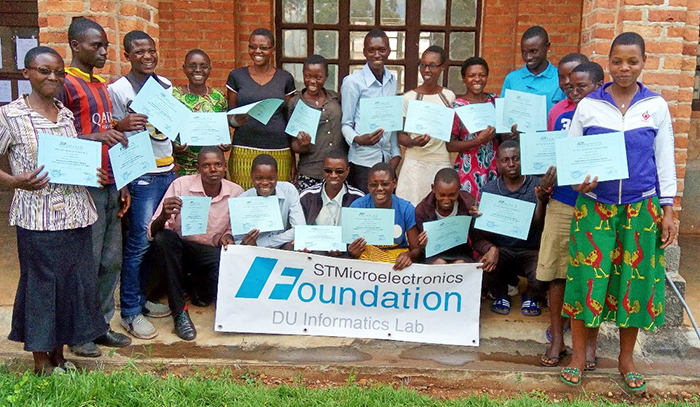 As of December 2018 over 80.000 students have been trained, having the chance to improve their lives. To understand deeply what to bridge the digital divide really means in a disadvantaged area, the ST Foundation would like to invite you to listen to Chantal’s words. Who is she? Chantal is a former student of our DU Program who, full of determination, was ready to walk 10 hours a day to attend an informatics class, to have access to a better future. Please discover her full story in the video we realized.